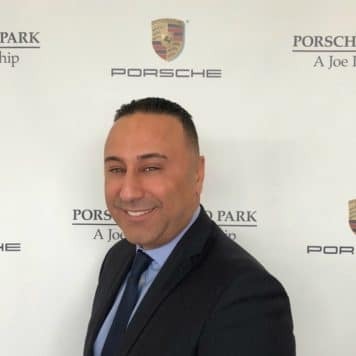 Maen has worked in the automotive industry for over 20 years, and has worked with the Porsche brand exclusively for 5 years. 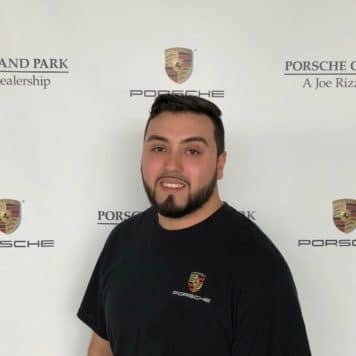 He stands by the Porsche brand, and loves seeing our customers drive off in a vehicle that exceeds expectation. By providing great products and excellent customer service, our dealership continues to strive, and our customer base continues to increase. I am a Porsche enthusiast. I enjoy the quality and craftsmanship of German engineering as much as a good soccer game. It feels great to provide our customers with all of the knowledge that I have, in regards to the products that we offer at the dealership. I’m always upfront, easy to work with, and extremely helpful. I proudly stand by this brand, and love seeing our customers drive off in a vehicle that they can depend on. 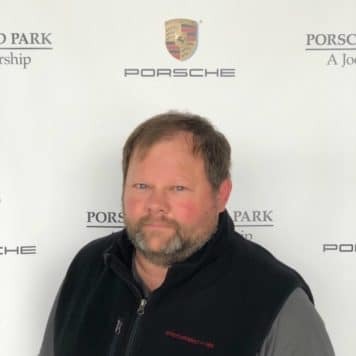 Paul has been with the Rizza Group for 22 years, and has worked the Porsche brand exclusively for 12 years. 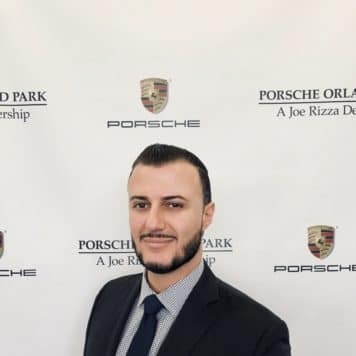 He values all of our customers, strives for excellence and above all is determined to make sure that all of our customers enjoy their experience at Porsche Orland Park. 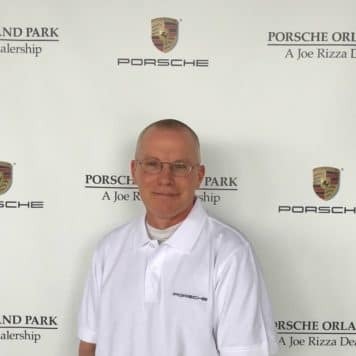 Bob started in 2003 with Porsche. He always had an interest in the brand and history, street and racing cars. Many of you know Bob whether it is on the service end or the sales end he is always available to make sure your needs are met. He has met many interesting people and created many relationships. 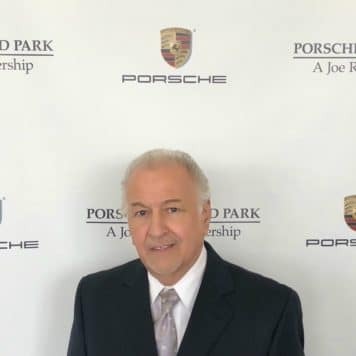 Bob has trained on Porsche vehicles all over the United States, Europe, Germany, Spain, France, and Africa. He has been a Certified Porsche Brand Global Ambassador since 2011. 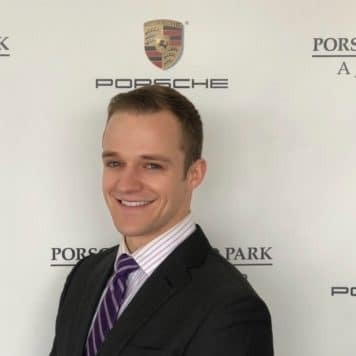 Connor is no stranger to high end cars having been a Parts Manager and Service Advisor at previous exotic dealerships. He decided to transition to the Porsche lifestyle and sales in 2015. With over 7 years in the automotive field, he is very well rounded when it comes to anything automotive. If you are looking for a sales professional with technical product knowledge, Connor is the one to see. When he’s not building cars or competing in triathlons, Connor enjoys spending time at his family restaurant in downtown Elmhurst. I started in the automotive business in 1999. 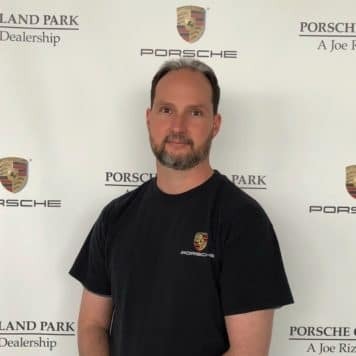 I have been with Porsche Orland Park for the past 5 years. I am married with 2 beautiful children. In my freetime I enjoy staying fit. I love to workout, run, bike etc. 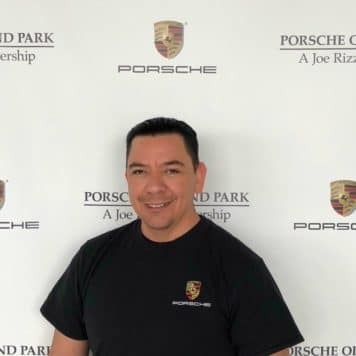 I started at Rizza Ford and Lincoln in 2014 and moved to Porsche in 2016. As a Certified Brand Ambassador, I always strive to make sure your vehicle is fixed “right the first time” and in a timely fashion. I am always available to answer questions, and to help clients enjoy and maintain their vehicles. 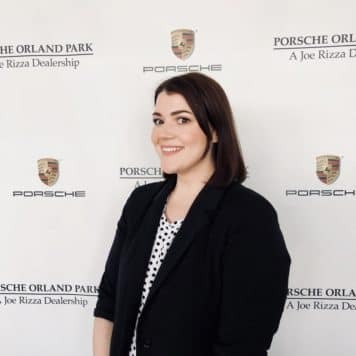 I have worked in the automotive industry for more than six years, and have been with the Porsche brand since 2016. The most rewarding aspect of my job is developing meaningful relationships with our clients and bolstering confidence in their investment through mindful customer service. Outside of the dealership, I enjoy reading, creating art, and making people laugh. 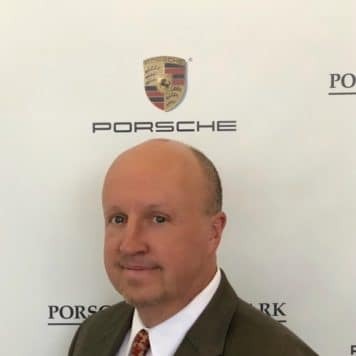 I have been servicing cars since 1992 (23 years) I graduated from Wyoming Tech in 1991 starting my career working on Fords and eventually shifting my passion to the Brand we all know and love today. Porsche. I am a Gold Certified Porsche Technician and an HVT (High Voltage Tech) / 918 Spyder Certified. In my spare time I teach Martial Arts and I belong to a Mens Hockey League. Cars have always been my passion. 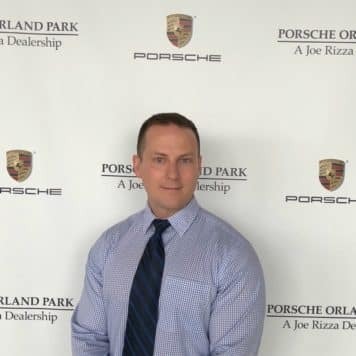 In 2010, I began my career at Joe Rizza Ford Lincoln and transitioned to Porsche in 2016. Aside from work I enjoy spending time with my family and friends. I am motivated to service and maintain Porsche vehicles. I look forward to continue servicing Porsche vehicles for Years to come. I have always had an interest in cars. I knew it was my passion and wanted it to be my career. I have been working as a mechanic since 1999. I am married and love to spend time with my family and friends. I look forward to servicing Porsche vehicle(s) in the upcoming years. 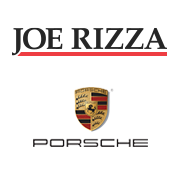 I started as the Porsche parts manager for Joe Rizza in April of 1995. In case any part of your Porsche should ever need replacing, we recommend that you exclusively make use of genuine Porsche parts. We truly appreciate your business.